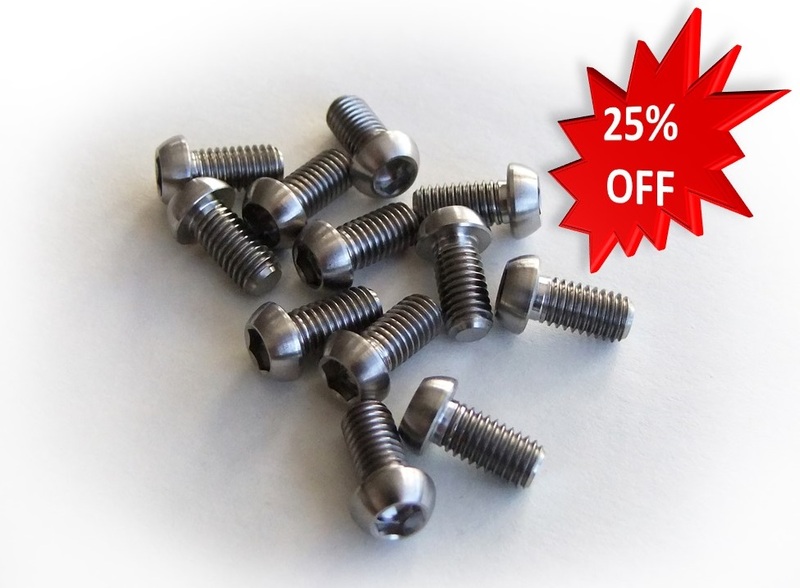 Hostile Bicycles titanium disc rotor bolt set 12x M5 10mm. Why not pimp up your bike with some Hostile Bicycles titanium disc rotor bolts? The full set (12 bolts) weighs in at just under 14 grams, compared to a full set of steel bolts that weighs approximately 30 grams, that’s less than half the weight! 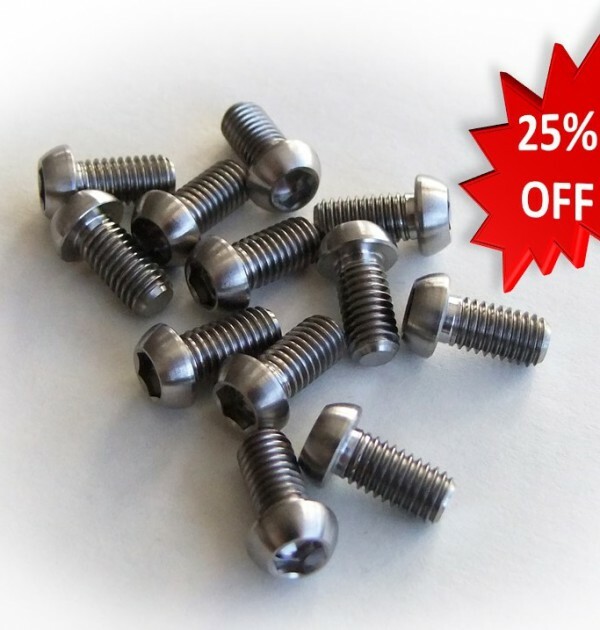 Unlike steel bolts that corrode as soon as the coating chips off, these titanium bolts will resist corrosion and will look as good as new for years.